Click here for Redmond’s video commentary, hosted by the AGA E-Journal’s Chris Garlock. As usual, the commentary in the sgf file here includes variations not covered in the video commentary, and for the first time, the sgf commentary now includes additional comments transcribed from the video. Both include the news that Redmond and Garlock are now working on an e-book about the AlphaGo-AlphaGo games. 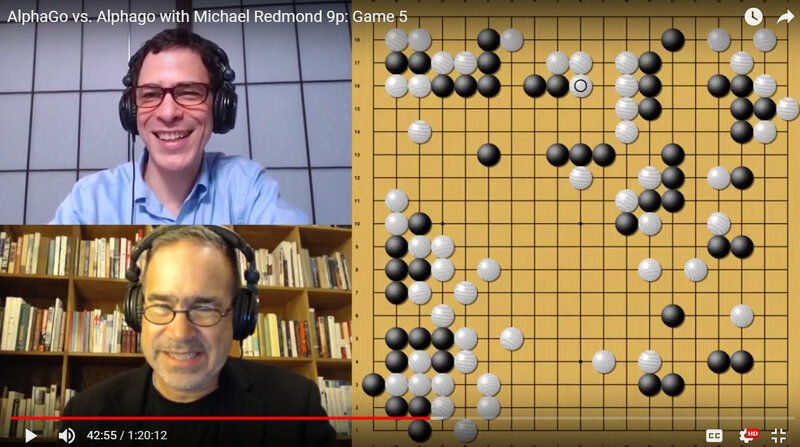 Redmond and Garlock discuss their plans for more AlphaGo-AlphaGo commentaries in this brief video.